For hospitals, clinics and medical teams of all sizes, OTAWAhealth is a suite that manages the continuum of care to avoid clinical redundancy and align to the value-based system shift. OTAWAonco CIS and OTAWAcare mobile app are in daily use for over 6 years having already managed the continuum of care for more than 5K patients, 36K consultations, 60K chemotherapies, 11K hospital visits and 1.5K hospitalizations. iciency by ensuring a protocols-based treatment decision, and distribution of real-time information to multidisciplinary care teams, including hospital and payor managers. OTAWAonco completely manages an oncology clinic or hospital department from patient admission and scheduling, multidisciplinary medical records with protocols-based chemotherapy decision support and regimen, up to drug inventory control, and treatment charge in accordance with payors pre-defined rules. fficiency and patient care while reducing costs. Comprehensive care and administrative management. Adherent to international accreditation guidelines. 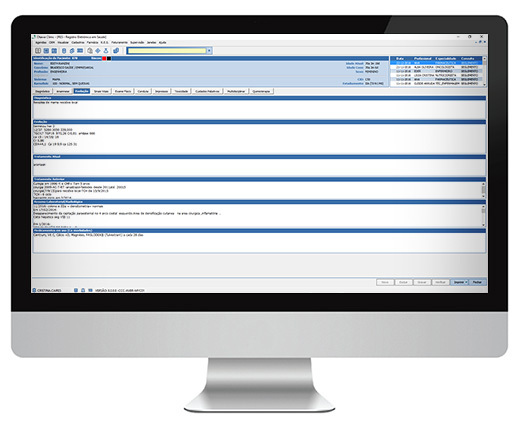 Automated administrative and clinical reports. Custom templates for physicians, nurses, pharmacists, nutritionists, psychologists and clinical geneticists. Instant access to patient health information generated by all specialties. Use of pre-defined protocols provides a comprehensive line of treatment. Adherent to current TNM Staging. Real time management of care planning. Business rules management and control. TISS and XML integration with payors. ffective real time communication between members. Register assistance right at the point of care. Fast and secure messaging between team members. 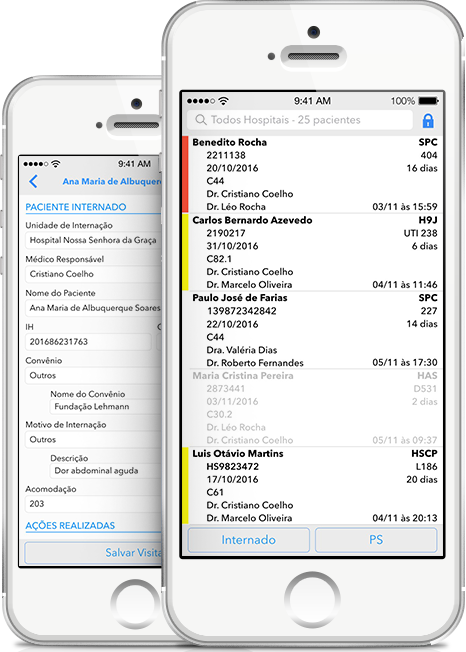 Quick access to a patient’s medical history. Improve safety and clinical decisions. Control and charge visits by hospitals and health plans. Multidisciplinary templates with precise data entry. Collect data at the point of care. Sync realtime info between all care professionals. MIRTH integration with any hospital information system. Administrative reports by care team, physician, patient, etc. EMRs or Clinical Information Systems are not care-centric and do not offer protocols-based or clinical pathway tools to allow care standardization, contributing to uncontrolled treatments, clinical redundancy, and unpredictable overall costs for payors. Medical teams usually have inpatients in multiple hospitals with care information on different data silos unreachable by remote team members which hampers monitoring care and progress, and impedes the consolidation of care registration. Lack of standards, care redundancy and waste generates lack of predictability leading to the overall higher costs for payors. Investments in health accreditations and quality control are prohibitive to the vast majority of clinics and hospitals an yet the pursue for quality is mandatory to stay relevant in the market. OTAWAonco is an oncology-focused Clinical Information System for enterprises of all sizes, developed BY and FOR multidisciplinary care professionals and in accordance with payors pre-defined rules. OTAWAcare is the first and only mobile solution of its kind to coordinate multi-hospital inpatient assistance and ease effective communication for a multidisciplinary care team. Standardized medical records for physicians, clinical geneticists, nurses, pharmacists , nutritionists and psychologists, together with protocols-based clinical decision, prevents care redundancy and allows for controlled and predictable overall treatment costs. OTAWA solutions are in accordance with international healthcare accreditations giving SME access to quality control guidelines and practices without the need to heavy investments in accreditations. “We are extremely excited to be working with OTAWA. “OTAWA’s solutions manages the whole clinic, from the time the patient arrives until the emission of the invoice to payers. All events are registered: medical consultations, prescriptions, protocols used, drug inventory, payers' authorizations and bills. We have full Care as well as Administrative controls. Want to know how can we help?